When I started in the marine industry, I was fortunate enough to work aboard a truly unique yacht. 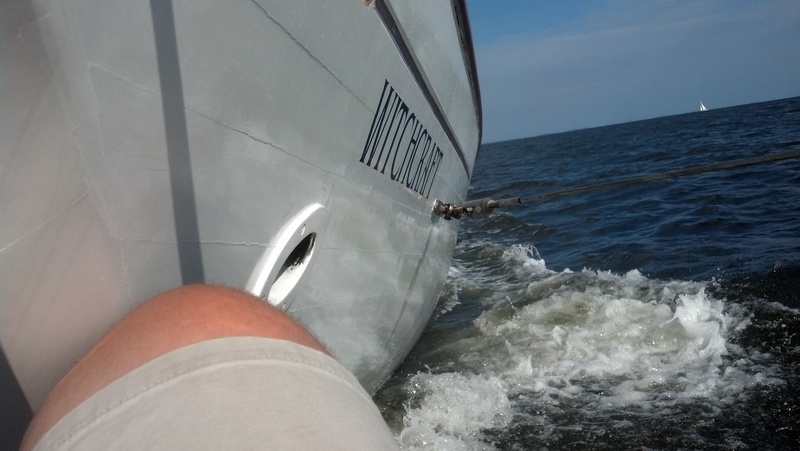 The name of this yacht was Witchcraft. 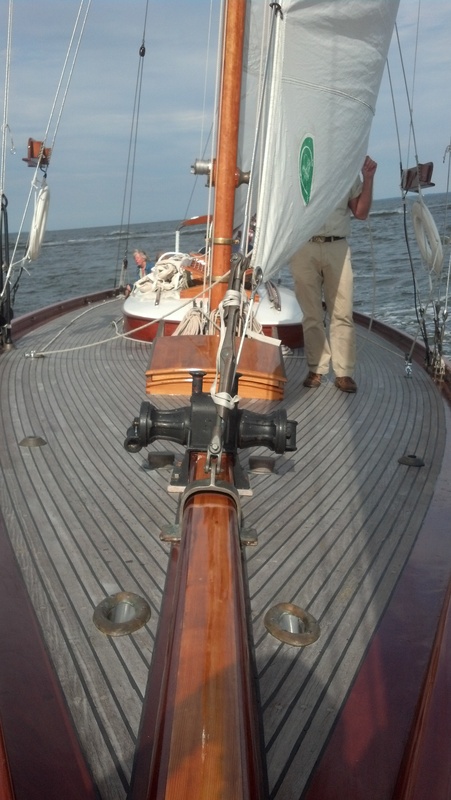 The yacht was built in 1903 by the Lawley Ship Yard in Boston, MA and designed by B.B. Crowninshield. Originally, the boat had a very tall gaff rigged mast which was later replaced by a two shorter Bermudian masts in the 1930’s when it was converted to a Yawl. The boat was later abandoned and left to die in a boatyard in Pasadena, MD until a young wooden boat enthusiast by the name of Paul Itzel laid his eyes on this derelict beauty in the early 1970’s. It was then that he had decided to take on the boat’s restoration as his new life long obsession. I met Paul and his almost completely restored lady in 2004. I too fell in love with the boat. 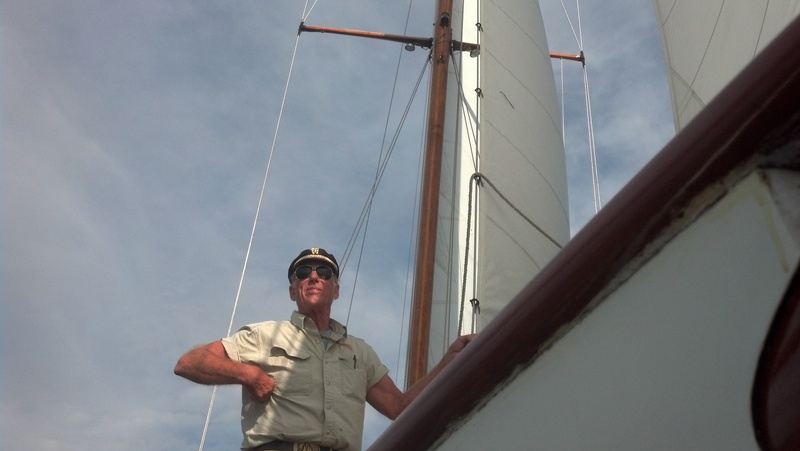 After I apprenticed under one of the carpenters that helped Paul restore the boat, Jody Leonard, I ended up taking a new job as a rigger’s apprentice. This led to Paul and myself un-stepping the mast (which hadn’t been done since the 1990’s), stripping it down completely, restoring all of the unique hardware, refinishing it, putting it all back together, and standing it back up. That in itself was quite the undertaking. I can’t imagine the monstrous task of restoring the entire yacht. My hat goes off to the good captain, Paul Itzel, what dedication! Since then we have made a few modernizations, but nothing that compromises the historic value of the boat. One of the changes was that the all wire main halyard had been changed over to Spectra fiber, along with the boom topping lift. This was done only after one entire sailing season of ensuring fair leads. Some of the standing rigging was also replaced/shortened simply to make it correct. 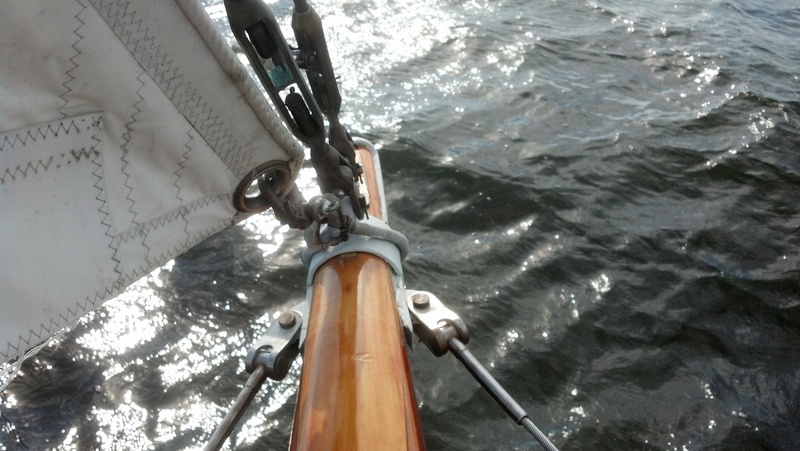 Paul had replaced all of the standing rigging in the 1990’s and it was all still in very nice condition. To be quite honest, the boat really didn’t sail much before 2005-2006, mainly due to the fact that it just wasn’t ready. Paul had his hands full just keeping up with the various finishes on the boat end, never mind the mast. Needless to say the boat needed funding. After 40 years of trying to keep this girl alive, Paul had begun to give up hope despite his crew begging him to get her sailing. Just at that moment his fortune would change and an offer to buy the boat would finally be presented. 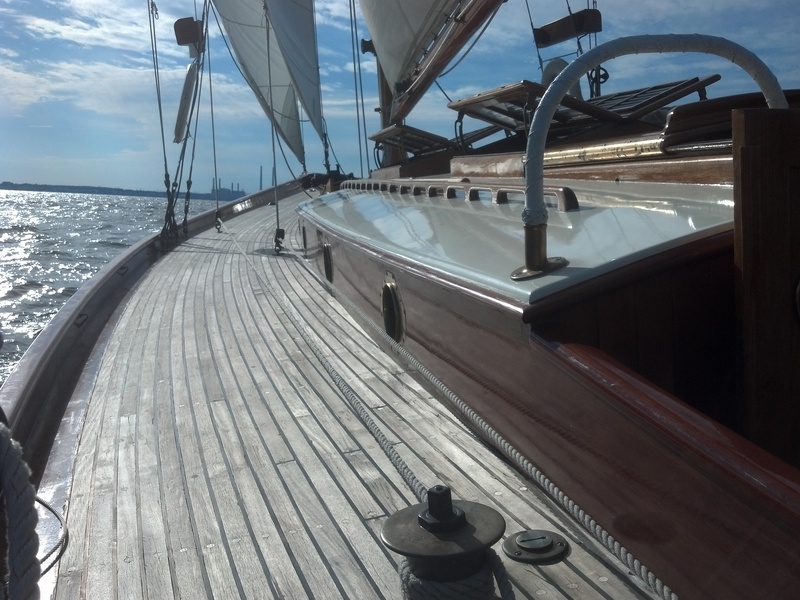 The boat has since been restored to near 100 percent completion. Therefore, the boat and her guests have enjoyed many days of sailing almost every other week and is sailing to more and more Bay destinations every year. Her intoxicating lines have most onlookers captivated as they can’t help but to gawk and ask, “what year is that?”. Without fail everyone is always shocked at the response: 1903. 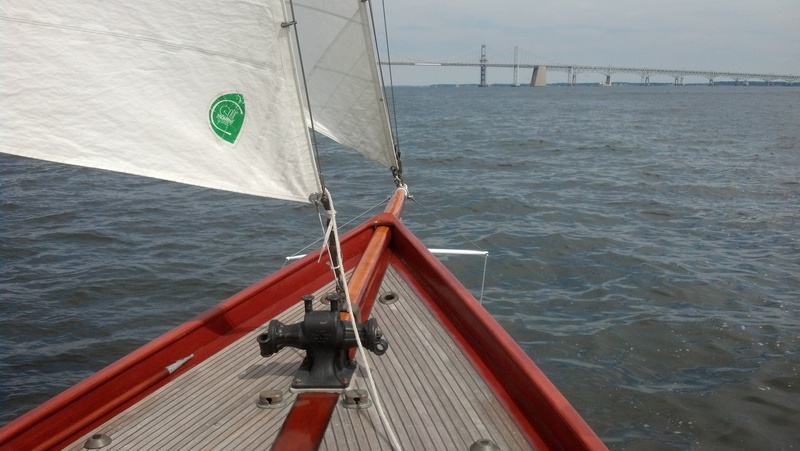 The boat today is kept at a private residence in Pasadena, Maryland not far from where Paul found her. 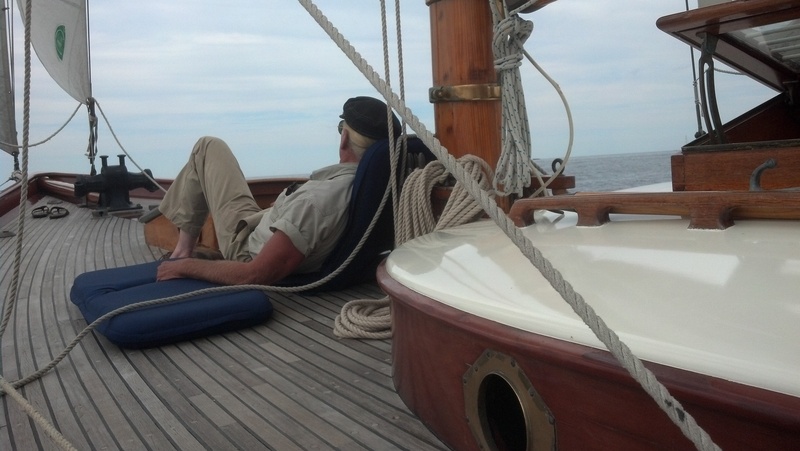 She maintains her 1930’s main mast and is rigged as a Bermudian sloop, keeping the mizzen out of the way and making the aft deck one of the most desirable places to hang out and enjoy the ride. This week you will be able to see this incredible yacht at the world’s largest boat show, the U.S. Yacht Show’s Annapolis Boat Show. DON’T MISS OUT! 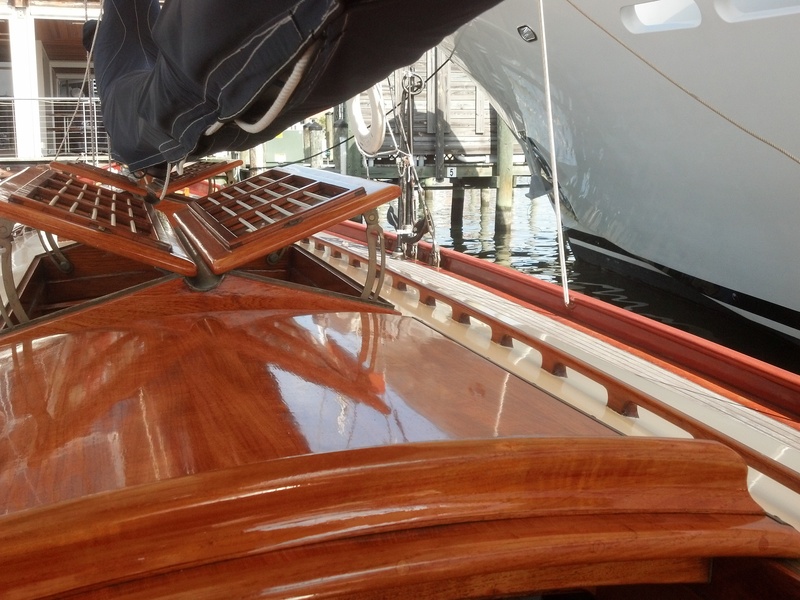 For more info, be sure to visit the yachts official webpage at, www.theyachtwitchcraft.com. Lastly, I would just like to thank ‘The Good Captain’ Paul Itzel a.k.a. Zygo for his friendship and tutelage, as well as the Yacht Witchcraft for the unique opportunities and experiences afforded to me because of her. I feel truly fortunate. P.S. – check this out………T.R.C. getting a YouTube plug! Thanks ABKVideo….